The Septentrio AsteRx-U Marine is a powerful multi-frequency GNSS receiver built with marine applications in mind. Built with marine applications in mind, the AsteRx-U Marine is a powerful multi-frequency GNSS receiver. Similar to the AsteRx-U, it is compact and portable, offering centimetre-level RTK positioning for all marine uses, including surveying and construction. 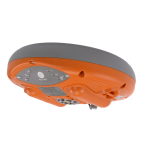 This rugged all-in-one receiver with L-band reception has the ability to track all current GNSS constellations, and is designed to support future constellations as well, ensuring reliable and accurate positioning now and into the future. 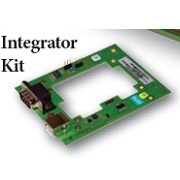 Via the built-in web server, accessible over Wi-Fi, Bluetooth, or USB connection, the AsteRx-U Marine can be operated using any web-enabled device. 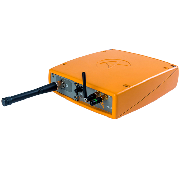 Thanks to Septentrio’s LOCK+ technology, the receiver is able to maintain tracking during heavy vibration, and IONO+ technology ensures accurate positioning in regions of elevated ionospheric activity. To ensure consistently clear reception, the receiver also has the built-in ability to mitigate Iridium and INMARSAT interference. The Septentrio AsteRx-U MarineåÊis available through Blue Planet Geomatics. If you would like to learn more about it, please feel free to get in touch with us by completing the Request Pricing form.